Garden-variety grime may be what Wiley offers on 100% Publishing, but anything from the Wiley garden is still worth cultivating. 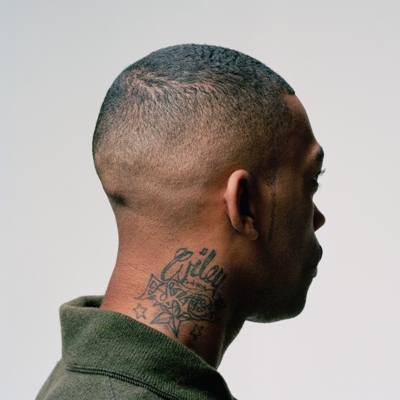 After fifteen years as a central figure in this sound-from-the-streets scene, Wiley doesn’t neccesarily need to exert himself much on his latest full-length. 100% Publishing lets the listener be a fly on the wall of the grime pioneer’s day-to-day life, as Wiley mutters to himself about losing things and finding them again. As is the wont of rappers, he shouts out his friends (“Hold tight Jamie”) and talks about the music business in an insider fashion that the average listener may not always be able to relate to — case in point, the title song. Still, there is an appealing simplicity to the sparse backing tracks, such as the carousel tune of “Boom Boom Da Na”. In keeping with this basic attitude, the spartan beats eschew trying to come up with inventive twists. This can be the default of many artists in the genre; they tend to make the biggest impressions with their debut and then, at best, repeat fading photocopies of that work.